As far as mankind has progressed with science and medicine, ironically there also seems to be an increased number of individuals/couples struggling with fertility. The natural function of bearing a child is getting harder and harder due to a large number of factors, namely poor diet, stress, hyper/hectic lifestyles and unreasonable demands we put on ourselves, our bodies and our partners. We have unknowingly created this vicious cycle that is now inhibiting a natural function of our body. Today, the words ‘holistic’ and ‘mindfulness’ are so common and used in every context possible. There is a reason for this. We have lost touch with ourselves and with basic human needs such as love, affection, respect, time, and long deep breaths. We make check lists, bucket lists, expectation lists, to do lists, etc, and just keep ploughing through them until we hit a major road block. This causes anxiety, stress, depression, self-doubt and a vicious cycle that then makes us keep hitting more road blocks. When it comes to fertility and family planning, we need to move away from the check-list and approach it ‘holistically’ from the get go. Are you mentally and emotionally ready for this ride? Is your partner mentally and emotionally ready for this journey? Are you taking a step back from your hectic lifestyle and the pressures you put on yourself? Have you taken a moment to breathe and exhale? Are you physically fit? By this I mean, healthy and active with a good diet. You and your partner need to be in a good (healthy – physically, emotionally and mentally) place to conceive. It is natural to have at least one unsuccessful attempts, sometimes 2. Let this not send you into a tail spin as once again you will get on that vicious cycle. What I would like to suggest before you reach out for medical assistance/intervention, is to get your mind and body ‘baby ready‘. Evaluate your diet – ensure it is nutritious and wholesome. Start or maintain a physical fitness routine – this doesn’t have to be a heavy session at the gym, but even a long walk 2-3 times a week out in nature. Spend more ‘quality’ time with your partner – romantic, light, happy, positive, fun. Spend less time discussing ‘baby’, to-do’s etc. Surround yourself with positive people, energy, books, activities, music. Cleanse, re-balance and revitalise your body – this is where natural therapies come in. Use a complementary therapy that resonates with you and a therapist you connect with to remove negative energies in your aura and in your body, unblock your internal blocks be it mental or emotional and re-align and re-connect with yourself. All of the above give your cells what they need to make your body function the way it is intended to. Treat your body with love and respect. Once you have made it so ‘baby-friendly’ you will experience a much higher success rate with either naturally conceiving or having IVF or hormone therapy. You have a responsibility to yourself to make it happen. Happy New Year! Back to school runs and work. As you skip back into the gym, remember to check out new January rates that might be displayed in the smallest font humanly possible to read – they may be cheaper than what you currently pay. I only realised when I received a letter from my gym about a rate increase – which was sent in error! I emailed polite queries that evolved into frustrated complaints, always to at least 2 managers, escalated these to managers’ managers and finally got a nice chap on the phone who agreed that I had been overcharged for 2 years! The same nice chap gently explained that since our gym had been taken over, new rates had been made available; the information had been “on display” in the gym and therefore nothing could be done to reimburse me for the excess paid. Not happy, I insisted that I should be compensated and after more emails and calls, the same but now not-so-nice-chap then decided to give me a month’s membership free but still took payment for that month anyway. Deciding that I wasn’t going to stop chasing this until the excess that I had paid was refunded, I expressed extreme dissatisfaction about the way my case had been dealt with, which drew out another few months’ membership off. Eventually, the really-not-so-nice-never-wanting-to-speak-to-me-again chap offered a few more months’ free membership and threw in guest passes too! You always have the right to request a review on your membership, just ask. Gyms use their websites now to communicate offers, letters are only sent bearing bad news about price increases; for the good news, look online. And I guess I will be going to the gym with my glasses on, take the 3 minutes extra to look for the fine print! After having missed 2 weeks of my regular weekly Iyengar class I have to admit to feeling sluggish and moody. The first week the boys were unwell and I wanted to be around them all day. The second week was just pure bad time management in trying to juggle work, the boys on Christmas break and organising a Christmas party at home. To top it off – it was a desserts party – and it really did not help my situation – especially when you need to ‘taste test’ during preparation ! 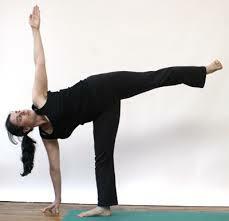 I love Yoga and I’m thoroughly enjoying Iyengar’s approach. 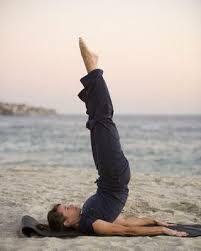 Prior to practicing Iyengar Yoga, I had done a few years of Ashtanga & Hatha Yoga. I was skeptical about the use of props in yoga (the Iyengar approach) but after having had a hip surgery, then a surgery to remove the rods, followed by a twin pregnancy soon after, I found that the use of props actually helps in the rehabilitation process. 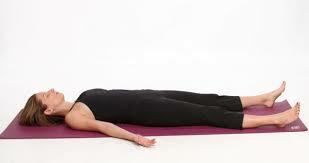 You get the entire benefit and stretch of the asanas using the props aiding your weak and troubled areas. The blocks, band, and the wall, and sometimes even a partner, facilititate in getting you in to the asana with the correct posture thereby ensuring that you get the intended benefit. It looks like in the New Year I have to commit to at least 2 sessions a week with some home practice. I am hoping the boys get in on the fun and we can make it a mummy & me activity that they (and definitely me) look forward to. I would like to share the actual benefits of each Asana with you but I am not qualified to do so. The benefits personally for me are that my spine gets a good twist, my hips open up and become more supple, I strengthen both my upper and lower body, get some blood flowing to my head, and I get a sense of balance.